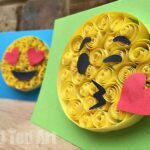 As you may know, we love all Paper Crafts for Kids and growns ups.. as part of that we have been exploring paper quilling and paper quilling patterns for all seasons. Last year we particularly fell in love with the stunning Paper Quilled Snowflake patterns. 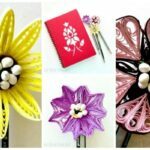 A must see for lovers of paper crafts and quilling. 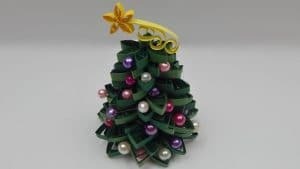 Today, I decided to put together a list of fabulous Paper Quilled Christmas Trees and how to make quilled Christmas trees – mainly because pinterest seems to be full of quilling inspiration but rarely appears to link to the actual Christmas Quilling Tutorials (grumble). 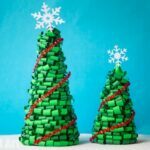 So I took some time to find some lovely quilling ideas for you all around the theme of CHRISTMAS TREES and linking to actual tutorials that you can enjoy!! 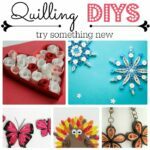 I have shared a mixture of quilling patterns for both kid, older kids and grown ups. Do find something that suits your quilling experience! 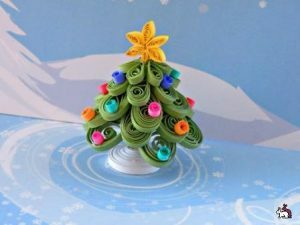 Where appropriate we have also embedded some how to paper quilling videos (scroll down). 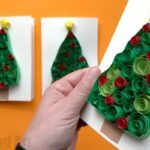 3D Paper Quilled Christmas Trees – these make perfect Christmas table decorations or would look wonderful on the mantel piece. 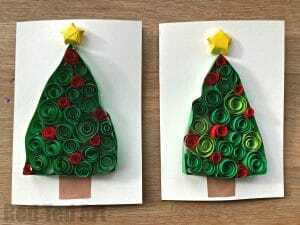 Super duper EASY Quilled Christmas Tree Cards for kids to make – a simple introduction to paper quilling for kids! Love the use of different greens and the “poppy outness” (is that a term) of the paper quills in this tree? Made by Creative Paper, see her video below for HOW to. 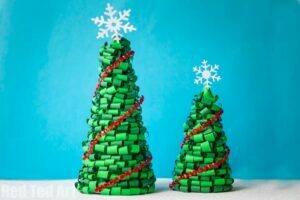 A clever technique of layering your tear drop paper quills and combining them with small beads to make this oh so sweet 3D Paper Quilled Christmas Tree. This was created by Sabrina’s Crafting Club and again, we have embedded her video for you below! 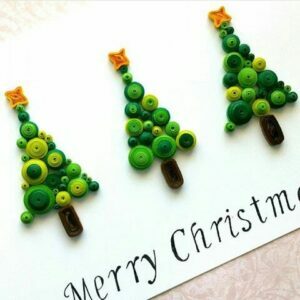 Another cuet and creative quilled Christmas Card design by Creative Paper, is this adorable “teardrop Christmas tree”. Isn’t it super cute? Love the quilled baubles too. 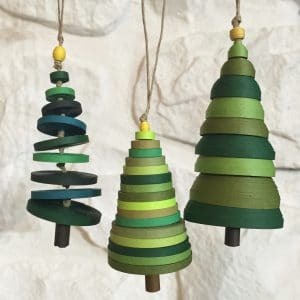 Again, see below for the how to quill a Christmas Tree video! 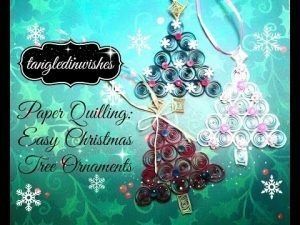 Next up we have a paper quilling video by Tangled in Wishes – this time showing us how cute and easy it is to make paper Christmas Tree ornaments. Aren’t they darling? You could attached them to the wrong of a greeting card and they would make lovely 2 in 1 card/ ornaments to send and give. 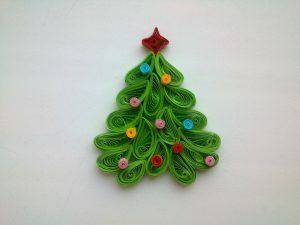 Check out this ADORABLE 3D quilled Christmas Tree form Luntiks. Isn’t it adorable? 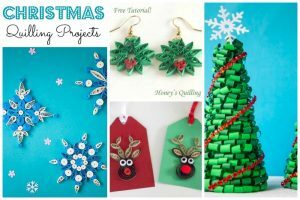 Or how about Panda Hall’s super cute and fun paper quilled Christmas Tree Earrings? HOW fun are they!? 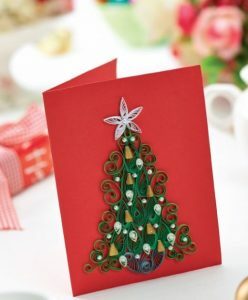 Anotehr BEAUTIFUL Quilled Christmas Tree Card design by Craft Beautiful – has a free download for you to use! 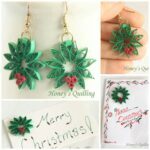 Super cute Quilled Christmas Tree Ornaments! 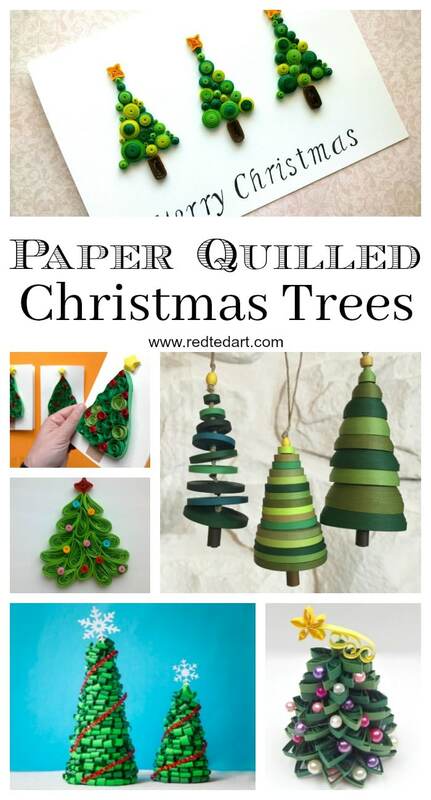 How lovely are these paper Christmas trees. Again, I love the use of different colours.. and also how varied ONE technique can bring different designs and looks. Find out step by step quilling instructions over on Craftsy. 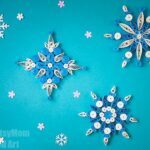 I hope you have enojoued this collection of Paper Quilling Projects for Christamas.. and that you are inspired to give this Paper Craft a go! 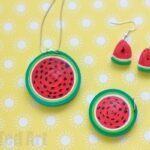 More Paper Craft Ideas for you here!